Torch coral has extremely sensitive flesh that is susceptible to infection if damaged. 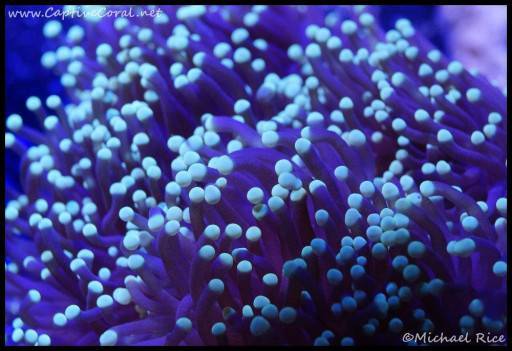 As always, while handling torch, be sure to keep specimens fully submerged until polyps retract. Torch coral forms in varying densities of branches which can make fragging them different for every colony. Be sure to cut between polyps and always cut branches off as far below the polyp as possible. Great info and thanks for the tip on Brightwell Restor, I used it and got noticeably better results than without it. It's pretty amazing the difference it makes. I use it to cut everything and also when I'm trying to heal coral problems. Usually does the trick with long soaks.